Violetta Metzger has a Masters Degree in Physical Education. 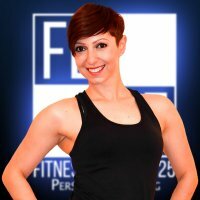 She has extensive experience within the fitness industry and is a qualified Personal Trainer and expert in Nutrition and Detoxification. Violetta is also a qualified Aerobics and Pilates Instructor and Personal Trainer. Want to achieve exceptional results in a shorter timeframe – Violetta’s one-on-one training programs deliver positive results in just weeks. Ready for some Personal Training? Choose a pricing plan that suits your budget. Violetta Metzger Personal Training 10 Sessions £600 GBP20 Sessions £1000 GBP30 Sessions £1350 GBP Name Tel No. Email.